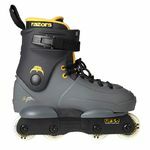 As we said - Grindhouse provides a rich assortment which is not limited to inline skates alone. 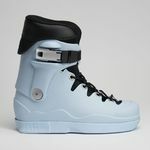 Those interested will also find plenty of accessories for their favorite sport. For the Powerslide Imperial and the Powerslide Metropolis, there is currently a particularly good deal. 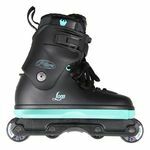 Just take a look in the shop and pick up your new Aggressive Skates today! 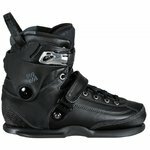 Inline skating is more than just a sport, more than fitness, a hobby, or leisure. It's a lifestyle; it gives you a sense of independence, freedom, and boundlessness. Whether in parks or in the middle of the city, whether in skating halls or on the promenades - inline Skating continues to captivate. Speed skaters dig into smooth roads through streets and hills. Fitness skaters circle wide lakes in small or large groups, rolling along busy boulevards and touring along rivers from place to place. In parking lots and in campuses, in neighborhoods and in city centers, free skaters jump over steep stairs, curve through busy passages, and meander slalom-style with 3-wheel through the crowds. Stunt skaters flip with Aggressive Skates on wooden ramps and glide through deep bowls, and grind on long rails and stone curbs. With a three-sixty or a five-forty, with a misty flip or a flat spin, they rotate about their axes, swirling through the air and defying sheer gravity. The little skaters practice on child skates with helmets and knee and elbow pads, on bike paths and on mini ramps a skate parks. Remember: It all began with the well-known roller skates, with brakes on the toe and two parallel rows of plastic rollers. In the late 80s, Scott Olsen, an American professional ice hockey player, took up an originally Belgian idea from the 18th century. In order to bridge the summer months and to continue playing hockey, he rebuilt some skates into inline skates. The inline skating boom began with him and his company Rollerblade. 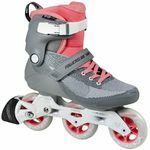 This was followed by the development of Stunt Skates and Aggressive Skates, of Free Skates, Fitness Skates, and Speed Skates, 3-wheel Skates and Child Skates. In the mid-90s, the inline skating trend reached its climax and dominated the streets. Adults and children, individual athletes and couples, families and groups all rolled onto the pedestrian paths and squares. Large and modern skate parks emerged, and events, competitions and new equipment spread like wildfire. In this way, inline skating became a popular sport. Over the years, the boom subsided again. Inline Skating returned to its origins. Back to the roots. The broad masses of trendsetters disappeared, but the core of the movement has remained. The Spirit of inline skating lives on. Skaters still roll with heart and soul on the streets and cruise through quarter pipes, spine ramps and in pools. They play inline hockey on the competitive playing fields and keep fit with Nordic blading. And on summer nights, every month, crowds come together to skate. They glide together through the warm streets of cities in Germany. Why? Passion, fun, and dedication. From their love of inline skating.